I love award shows, especially those dedicated to film and television. Last night, while watching the Golden Globe Awards I saw a few hairstyles that I had to mention on Hair She Goes Again. Let me start with Halle Berry. This woman can wear a pixie cut for the rest of her life and it will still be fabulous. She looked beautiful last night. 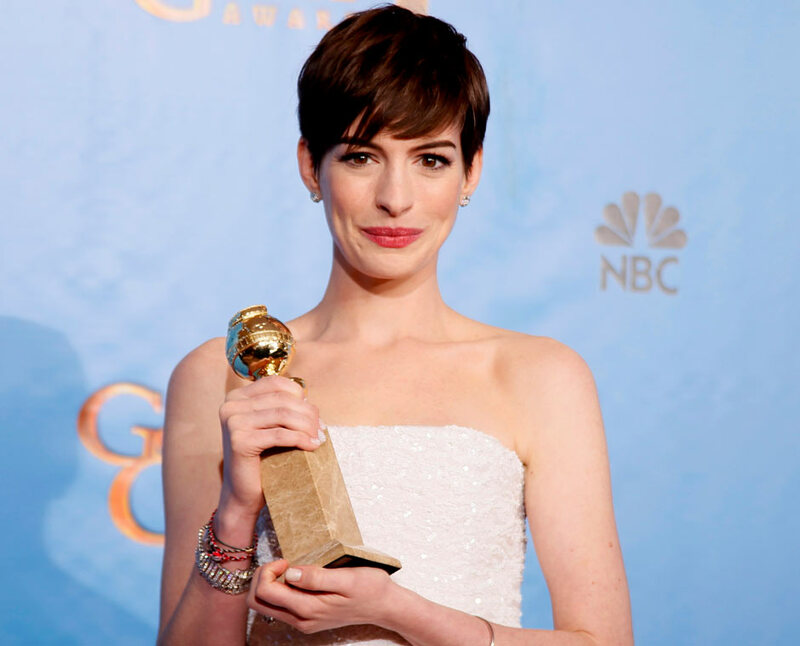 I also enjoyed Anne Hathaway’s short cut. Lucy Liu’s side swept braid deserves an honorable mention. One of my favorite and possibly the most popular style last night was the ‘big loose wavy curls swept to one side’ look. But of all the ladies who wore this look, J-Lo definitely took the cake. She looked A-MA-ZING!!!! Looks like Beyonce’ took a cue from younger sis Solange. 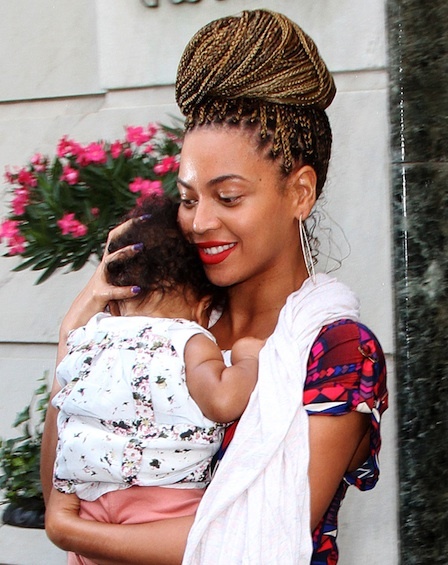 She was recently spotted all braided up with baby Blue in arms. I love these braids. Last week, I tried to wear my Senegalese twist up in a bun like this but it was much too “heavy heavy” (Dreamgirls voice). Looks like Bey’ has it under control.